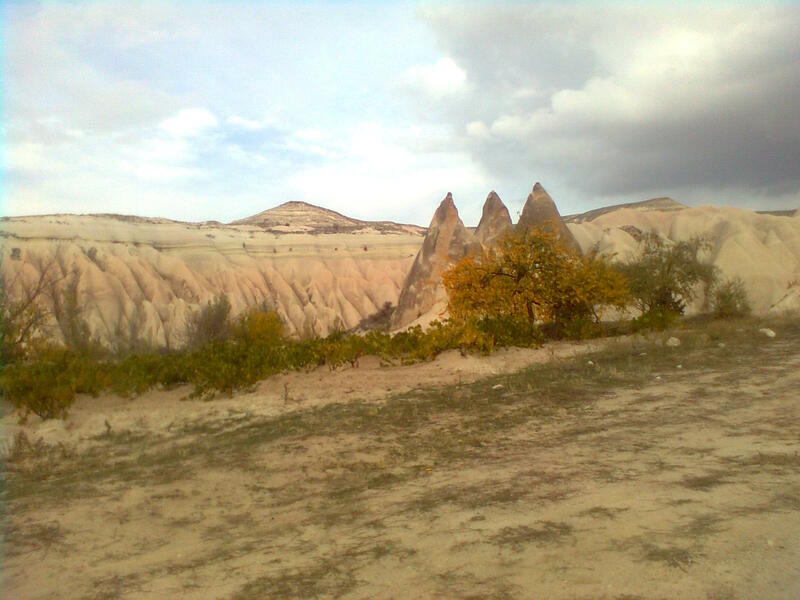 Red and Rose valleys come after Meskendir valley if you are coming from Goreme way. 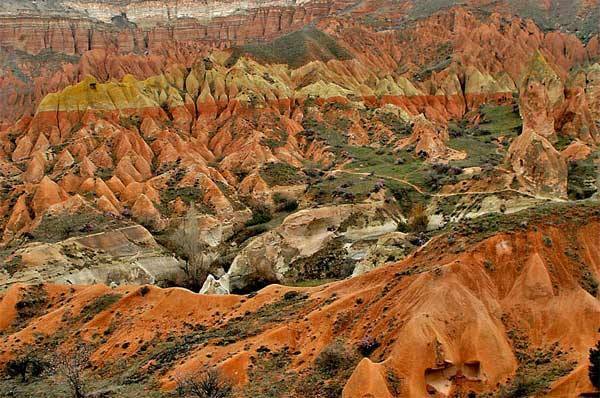 Red and Rose valleys have fantastic shapes.You will find yourself in outer space like in a dream. 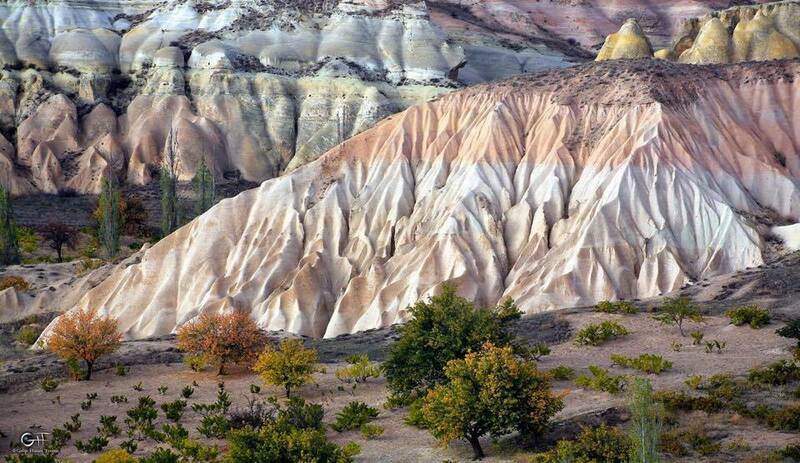 There are some ways on the right side while coming from Meskendir valley if you have time you can explore the land deeply. 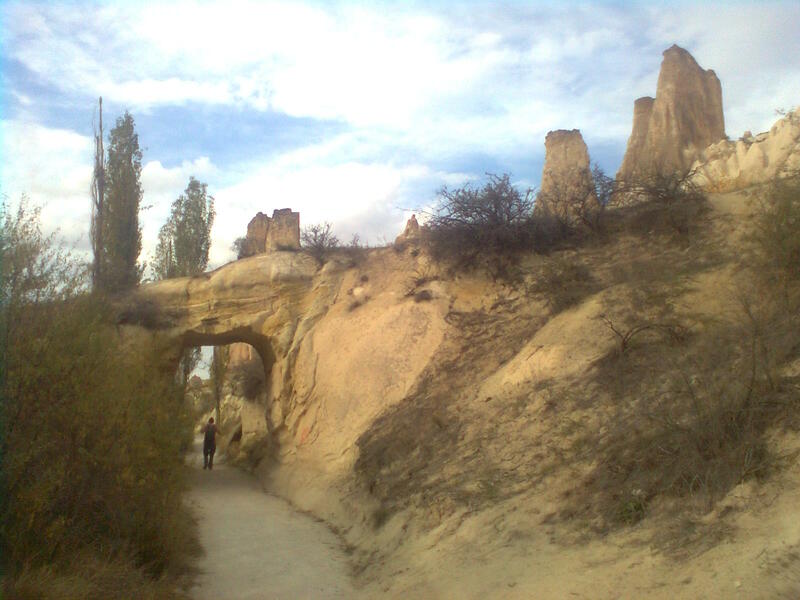 If you passed this tunnel and come from Cavusin way see next valley Meskendir. 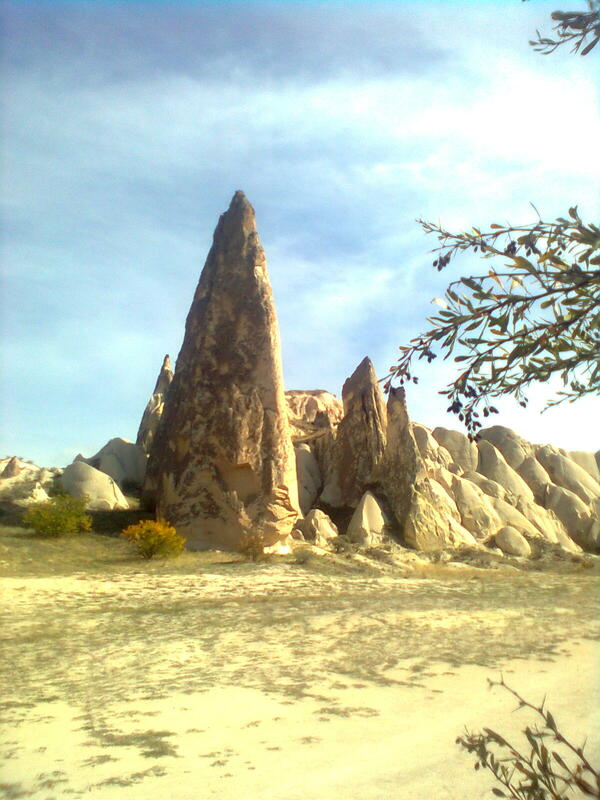 If you pass this tunnel and see these high rocks you are in kizilcukur valley -2 or Rose Valley. 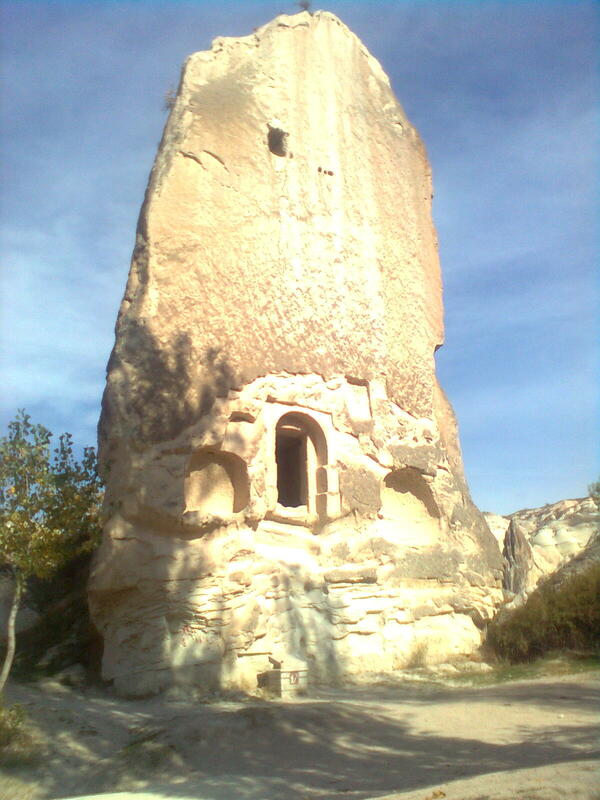 When you find the cafe, you can turn right to see old deserted churches in this area. 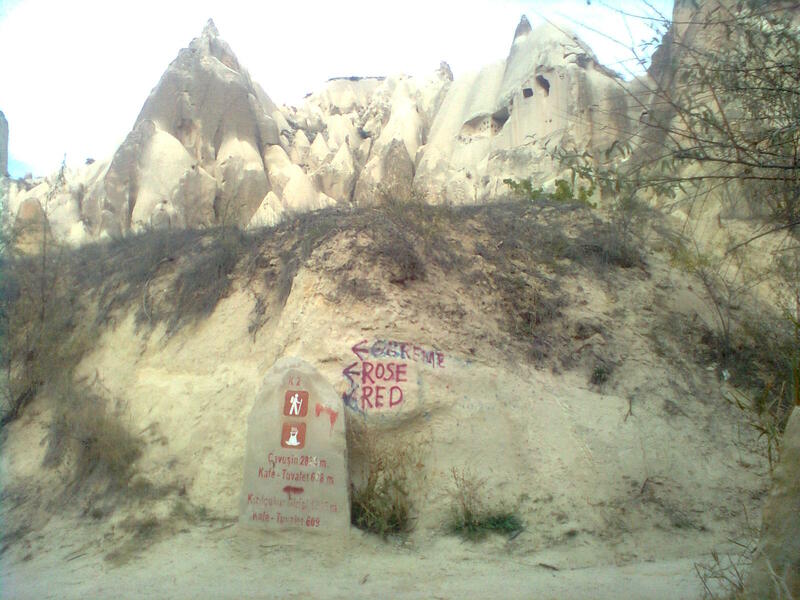 if you dont return there and pass the cafe you will see red valley and that way will take you to Cavusin town. huge rocks shows that you are in red valley.